Bobby McIlvaine Viral Video Almost a Go! Thank you so much, friends! After just three days of fundraising, we’re now well on our way to being able to release the official Bobby McIlvaine Act video one month from now. Please help raise the final $2,000 of our $5,000 fundraising goal by the end of this week, so that with your generous support, we can produce an eye-catching, heart-wrenching video that we hope will reach up to 10 million people on Facebook, YouTube, and beyond. 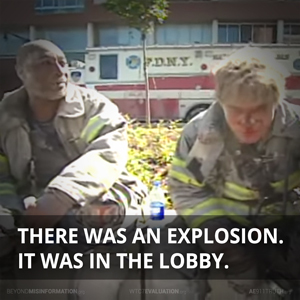 The plan for this one-of-a-kind piece is to combine Bob McIlvaine’s story of how his son Bobby was killed by a detonation in the lobby of the North Tower with jaw-dropping footage of the many eyewitnesses who described the massive explosions that took place in the towers that morning. 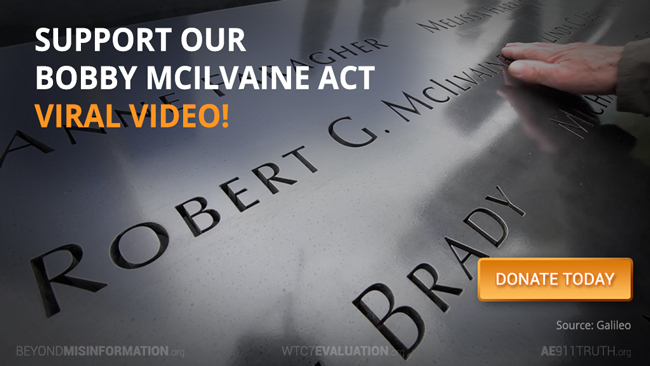 After enlightening millions of viewers to the truth of what really happened at the World Trade Center on 9/11, the video will close with a powerful call-to-action that moves hundreds of thousands of like-minded supporters to go to the Bobby McIlvaine webpage. There, they’ll be able to take concrete action by calling on their members of Congress to open a new investigation. If you’ve spent any time on Facebook recently, you’re probably familiar with the countless videos promoting various political and social causes. Some of these videos receive millions of views — sometimes even tens of millions of views — raising awareness far and wide at very little cost. Two of our Facebook videos have eclipsed 1.5 million views, but our ambitious goal this time is to reach 10 million people. We believe we can meet that target by following Facebook best practices and by crafting a rousing message that everyone will want to share. The last time we raised $5,000 for a video, we created the stunning short documentary Stand for the Truth, featuring former NIST employee Peter Michael Ketcham. 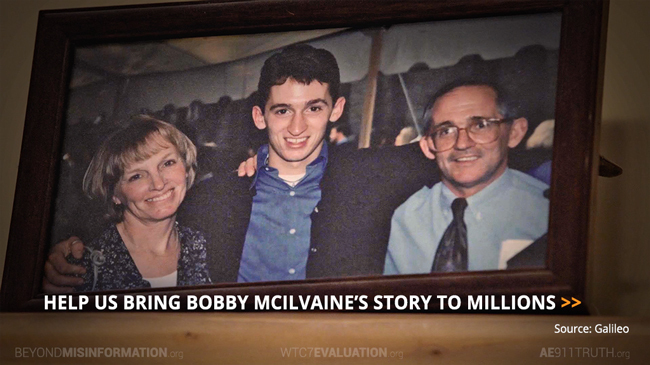 Please help us fund another top-notch production, so that together we can bring the Bobby McIlvaine Act to millions of people.